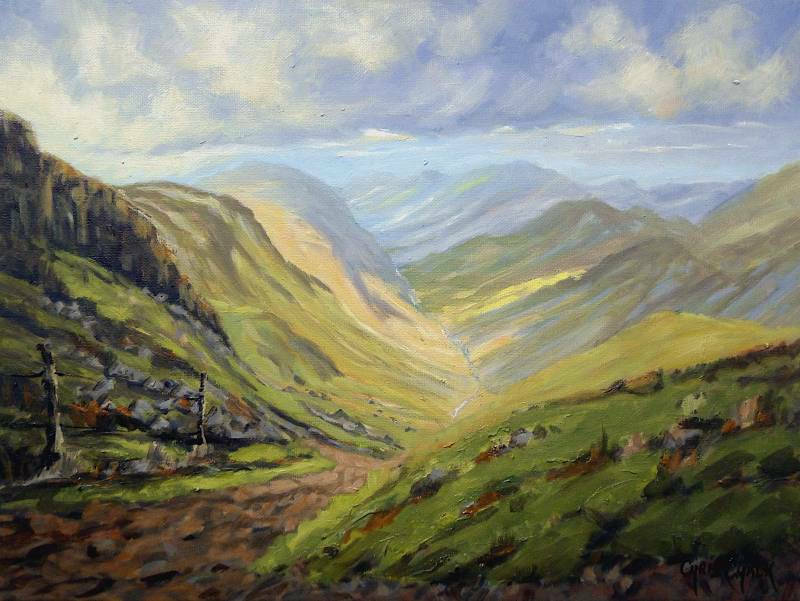 This Lake District painting is the view from windy gap, looking down the valley. 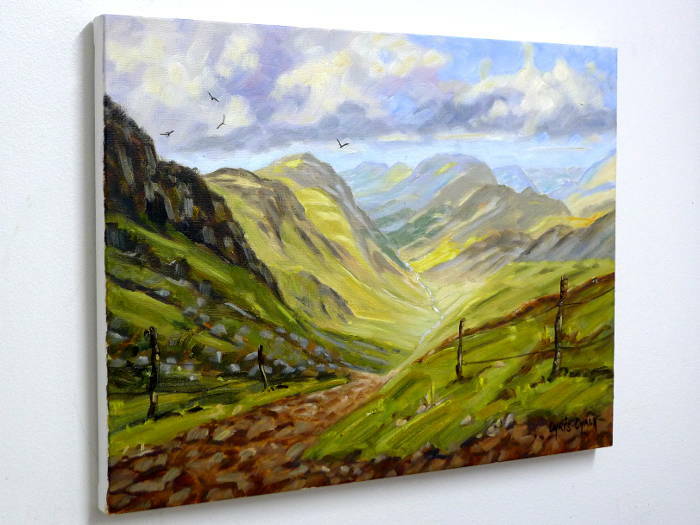 The Lake District ( also known as the Lakes or Lakeland ) is a beautiful mountainous region in Cumbria, England. "The View from Windy Gap"